India records the highest number of car accidents in the whole world. Though a lot of them take place in one’s own garage, the majority of them happen on the road when two cars collide, or a car hits another person or a property. In these cases, third party insurance comes into play. The Motor Vehicle Act passed by the Parliament of India has made it mandatory for all vehicles to have third party insurance cover. The person taking out the insurance (the principal) is the first party. Motor Vehicle Act also makes it mandatory for every vehicle to have first party cover, as well. 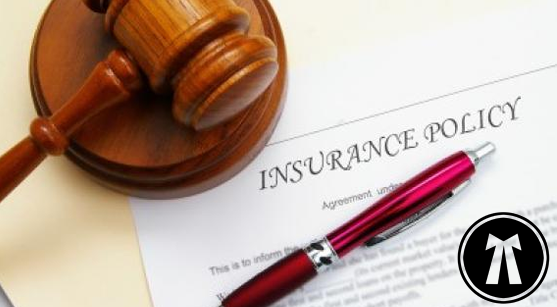 The insurance company is the second party while any other vehicle, person or property that might have been damaged by the first party or the principal is the third party. Moral Obligation: When there is damage to somebody with you on the wheels, then it becomes your moral obligation and ethical duty to right the wrong as much as possible. Getting a third party insurance is the first step in being ready to live up to that expectation. Financial Burden: Along with the moral obligation comes the financial burden. In case the damage is limited to both the person and property, then the financial burden can usually be met by the principal himself. Now in cases where the damage is quite substantial, then the immediate financial condition of the principal might not be able to mitigate the damage done to a third party be it a person or property. In these cases, the third party insurance policies are a real boon and they have been able to provide relief to the third party in a swift manner. Having said that there have been a lot of cases where the third party damage (person or property) have been negligible or cosmetic, but the third party has claimed a very substantial damage from the first party. In these cases, the principal might be in trouble and will have nowhere to get relief from. In these cases, consulting an advocate is the right way to approach the matter. All insurance companies have advocates on their panel. The problem with them is that they represent their companies more than they represent you. Remember this difference is massive. Further, they are always burdened with a lot of cases, and thus, naturally, are overworked. This means that they are unlikely to pay any special attention to your case that it might otherwise warrant. So, it is always wise to hire an advocate so that he or she represents you and your defense gets the maximum attention needed. The principal should look around and see someone with years of experience and proven track record with such cases and approach him or her. The principal should by all means clearly state the situation as had happened and why he or she feels aggrieved. Remember the more information that the advocate possesses the more ammunition he or she will have in winning your case. Third party insurance claims are one of the most common cases being fought all over the country; make sure that you are on the winning side in yours.